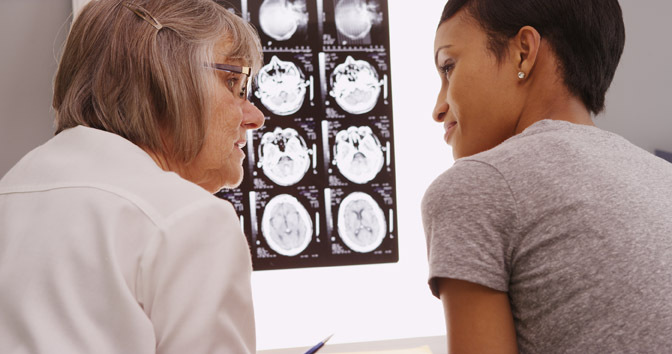 Often there is a misconception as to the definition of a traumatic brain injury. Many people believe that these types of injuries present themselves with immediate and recognizable results such as a coma or profound physical disability. However, in many instances, this is not the case. Complications resulting from traumatic brain injuries / concussions such as memory loss, confusion, and other cognitive issues are often not readily apparent. What type of accidents generally causes the most traumatic brain injuries / concussions? Government statistics indicate that falls and motor vehicle accidents account for the highest number of traumatic brain injuries / concussions in the United States. A traumatic brain injury is generally defined as a blow or jolt to the head which causes a disruption in brain function. Traumatic brain injuries caused by an accident can result in a wide array of functional changes that affect problem solving, speech, concentration, memory loss and behavior. Many of these problems develop over time and can cause great emotional stress not only for the person who is injured but the person’s immediate family as well. In our own practice, we have many clients who have longstanding complications from traumatic brain injuries / concussions. The frustration that results from a traumatic brain injury can be life-altering. Often individuals experience problems that they never encountered before. What can be particularly bothersome is that there is no single objective measure to determine if someone had a traumatic brain injury such as a concussion. Symptoms such as forgetfulness, confusion, mental errors, dizziness and the like are all subjective. At times, it is very difficult to objectively prove ongoing disability from such an injury. The key to recovery from traumatic brain injuries / concussions is prompt medical attention and treatment. The sooner someone is diagnosed the better the chances are for recovery. It is important to remember that if you have an accident such as a fall or blow to the head, it is vitally important that the problem is followed by a medical professional as soon as reasonably possible. From a legal standpoint, proving disability or complications from traumatic brain injuries and concussions can be problematic. Legally there are 3 components to proving disability from a traumatic brain injury and/or concussion. The first is proving the occurrence of an injury. While this may seem like a rather simple process, in some cases an injury may not be so obvious. A long time ago we handled a case where in the client was involved in what appeared to be a minor traffic accident. The vehicle was struck from behind and by all measures the client did not appear to have suffered any type of injury. No visible marks or other indications of injury. A couple of days after this incident she began to experience a lack of concentration, memory loss, confusion and an inability to problem solve. After further investigation we were able to discover that while she did not visibly strike her head in this accident she did suffer a severe jolt to her head. After establishing that an injury did indeed occur the second issue we faced was having to prove that the cognitive difficulties that she was having (i.e. lack of concentration, confusion, memory loss and inability to problem solve) were indeed the result of this injury. To do this the third component was necessary which was medical evidence to establish the connection. By having our client seen by medical experts who were familiar with the residuals of traumatic brain injuries we were able to establish not only that the problems that she was suffering from came from the accident in question but that she was medically disabled from these problems. Proving this enabled us to secure a monetary award for her so that she was able to have adequate funds from which to move on once her disability ended. An attorney experienced in handling traumatic brain injury / concussions can readily identify the residuals of a traumatic brain injury and obtain the best possible evidence to support the disability that may result from such an injury. Proving an injury, establishing that there are cognitive problems and obtaining the medical necessary to prove that the cognitive problems were from the injury are the steps necessary to succeed in winning a traumatic brain injury / concussion case. What Is My Back Injury Claim Worth? If you have a legal case involving a back injury claim, whether it involves a personal injury claim (such as from an automobile accident or a slip and fall) or you are injured at work, there are various factors that will impact on what your claim will be worth. In some ways, a personal injury back injury and a workers compensation back injury are very similar. In other ways, they are vastly different. Understanding these similarities and differences can help in understanding how the value of your claim is determined. Did your symptoms begin immediately after the injury? In most cases involving a back injury claim, someone who suffers a back injury will have an immediate onset of back and/or leg pain. However, in some cases, the initial symptoms following the injury may be very minimal, such as the sensation of a pop with no actual pain, and more serious symptoms will become apparent the next day or several days later. 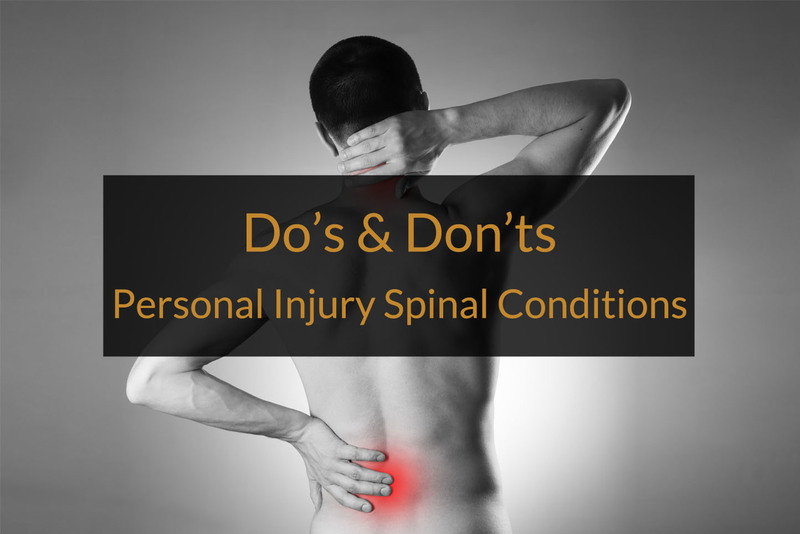 It is therefore very important to always describe, whether to an employer, someone investigating the accident, or the doctors treating your injury, the onset of even very minimal symptoms in the early stages of your injury. This is important so that the relationship between the earlier milder symptoms and a more serious problem that may ultimately be discovered can later be established. Does the injury involve a strain/sprain type of injury vs. A disc or spinal cord injury? Strain/sprain injuries – these types of injuries are typically considered to be nonsurgical injuries involving muscle, ligament or injuries that most doctors say will typically heal within a relatively short period of time. However, in a small percentage of cases these types of injuries can become chronic, leading to diagnoses such as fibromyalgia or chronic regional pain syndrome. Some physicians will classify strain/sprain injuries interchangeably, although a strain is more properly used to define an injury to muscle/ligaments, and a sprain involves tendons. If, after proper evaluation and testing, your doctors conclude that your injury involves a strain or sprain, the value of your claim will typically be much less than if a disc type of injury is involved. This is due to the fact that convincing insurance company representatives or judges and juries that an injury involving a strain or sprain is serious can be a difficult task. Often, there are very few “hard” physical examination findings or test results to substantiate ongoing pain complaints related to a strain or sprain. 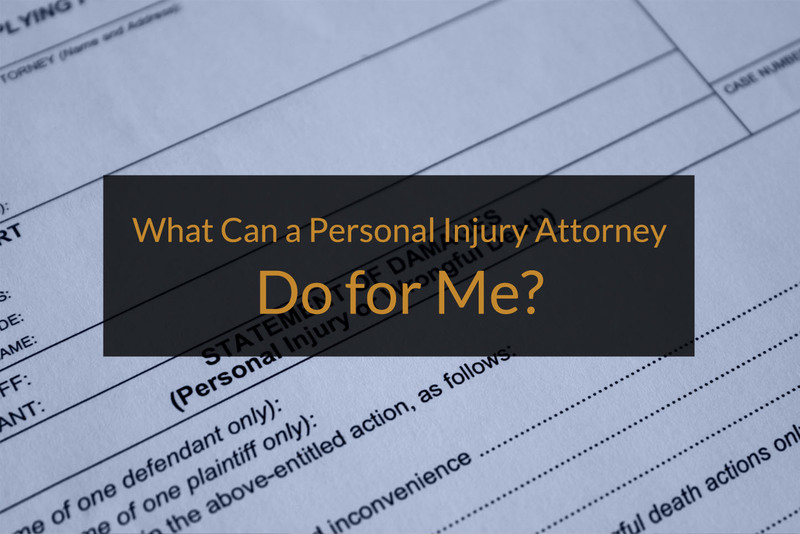 A good attorney, however, will know to focus on what is available to support your claim, rather than what isn’t available. Things that can help to substantiate ongoing problems from a strain or sprain are reproducible spasms, consistent and persistent difficulties range of motion, and consistency between your complaints and these other factors. Disc Herniations – a disc herniation is the most common and most serious of back injuries that lead to significant value being attributed to your personal injury or workers compensation claim. These injuries typically involve a portion of the bone that makes up the spinal disc breaking loose, and can cause temporary or permanent injury to the nerves in the spinal cord. A back injury involving a disc herniation often requires surgery. 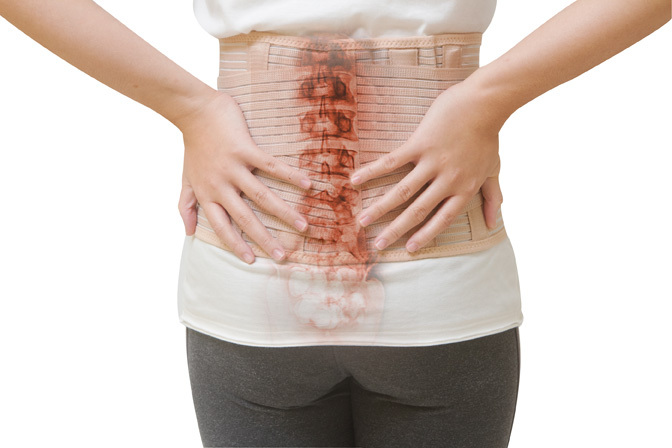 As attorneys who have handled back injury cases for decades, we have seen back injury cases involving a disc herniation that leaves an individual permanently paralyzed or with permanent pain and restrictions. We have also seen back injury cases with a disc herniation that is successfully repaired, with little to no ongoing problems. As such, assessing the value of a back injury case, even where a disc herniation is clearly present, still requires consideration of numerous other variables. Disc Tears – as diagnostic tests have become more and more sophisticated over the years, a diagnosis that 20 to 30 years ago may have been overlooked with a back injury case is a disc tear, or more accurately an annular tear. Doctors will explain that there is a fibrosis material, called the annulus, which helps to hold in place the material through which nerves pass through the spinal column. In the past, it was difficult to detect injuries which caused tears of this annular material, as it would not show up on earlier diagnostic studies that were available. However, more recent diagnostic testing can show the presence of an annular tear, which can result in ongoing back pain even where other testing does not show injury to a nerve or a disc herniation. In many cases, where originally an injury was believed to involve only a back strain, the more sophisticated testing now available will show the presence of an annular tear that helps to explain the presence of ongoing back problems. X-Rays – these typically will show a fracture of a disc, but are not as useful in diagnosing a disc herniation, annular tear or nerve damage. MRI Studies – these typically will detect disc herniations and bulges. EMG/NCV Studies – these are electrical tests that help to determine whether there our any problems with the function of your nerves. These can be very valuable test results, when combined with an MRI study showing a disc herniation, to help prove temporary or permanent nerve damage has occurred. Discography – this test is often used to determine whether an annular tear is present. Previous back problems, whether minor in nature or more serious (such as a prior disc herniation that required surgery) can have a negative impact on the value of a back injury claim. Exactly how much of an impact pre-existing conditions will have on a claim is dependent upon numerous factors, such as the severity of the prior problem, how close in time to the current back injury the prior problem had been last present and/or treated, and the duration of the previous back problem. Because of this, it is always important to let your attorney know with complete accuracy whether you had any previous back injuries or problems, and the details related to those previous problems. Often, a good attorney can minimize the significance of prior back problems, especially if they were in the distant past, with no ongoing problems until the current back injury occurred. If you had prior back problems, that information will come out during your case, and failing to disclose it early on is much more damaging to the value of your case then being upfront about it. Lost wages and income – this can include your actual lost wages from work for a period of time following your injury, and/or potential future lost income or earning capacity because of restrictions on your ability to work due to an injury. Past and future medical expenses – this involves looking at medical expenses that have already been incurred because of your injury at the time of settlement or trial, as well as projections as to future medical expenses that will be necessary to treat your injury. Non-economic damages are potentially available as part of the settlement or award with a personal injury case. However, these types of damages are not taken into consideration with a workers compensation claim. Pain and Suffering –there is no specific set amount or formula used to ascertain the value of pain and suffering from a back injury. Numerous factors, including the length, duration and severity of the pain and suffering, all have to be taken into consideration in determining how much more will be awarded over and above the economic damages for pain and suffering. An experienced attorney knows how to develop proper testimony and evidence to try to maximize the additional award for pain and suffering with a back injury claim in a personal injury case. Loss of Consortium – in cases of severe back injury where your spouse is deprived of the normal expectations of a relationship, including the loss of sexual relations, a separate award to your spouse can also be pursued. Punitive Damages – in rare circumstances, if gross negligence (negligence that is extreme as compared to normal negligence) can be established, additional punitive damages may be available. Our attorneys have decades of experience handling both personal injury and work related back injury claims in Western Pennsylvania. If you have experienced an injury of this nature, you can contact us for a free consultation regarding your case and begin to understand “What Is My Back Injury Claim Worth?” at 1-800-964-2667.